The last time Takamo was played, it ran from April 1998 until July of 2005. Many new features were introduced during the run, more functional fighters, carriers, new fleet orders, new world types, new ship types, new planetary defenses, as well as many actions upgraded to a “move and do.” However, there were still quite a number of new features that remained in development and only partially completed. The first two new features introduced into this game will be Diplomats and Spies. Why those two? Well, a number of reasons. First, they were nearing completion at the time the last game finished so they were already partially done. Also, referring to real world historical precedence, where there are Diplomats, there are Spies. In fact, spies were part of the original programming back in the early 80’s. However, they were never used or if they were, they did not stay in the game. Looking at the code, I can see that they never lived up to their potential. Spies would report on planet activity if a player had one on a planet and interestingly enough, they would fight each other. They were called insurgents and up to 4 players could have them on one planet. However, that’s pretty much all they did. If there was more planned, it never happened. Let’s examine Diplomats and how they can be used. Diplomats are somewhat complicated so let’s go through how to get one on a planet. Diplomat ship. The ship cost is 500 RU’s and the build code is 254. It is a zero ton ship and players have access to them at tec level 10. The action code for landing a diplomat on a planet is 129. It is a move and do. However, a couple things in bold print so pay attention. First, the fleet has to be in orbit to land the diplomat. If your empire’s aggression level and the aggression level of the planet are such that it triggers combat, then your fleet must arrive unarmed, i.e. zero firepower. Second, there is no guarantee that the planet will accept your diplomat. If they are a particularly aggressive race, chances are they won’t. However, you can continue to try. At some point they might allow your diplomat to land safely and open diplomatic channels. Third, once diplomatic channels are open, your fleets, even armed ones, are free to move over the planet without being shot at. This allows you to land mining centers, Ag centers, Trade Centers, among other things on the planet all without risk of damage to your fleet. Fourth, once a diplomat has landed on the planet, your empire and the planet are allied. You are not allied with the entire empire, just that planet. Initially your diplomatic level is low so they won’t do much for you, but you can do a lot for them. 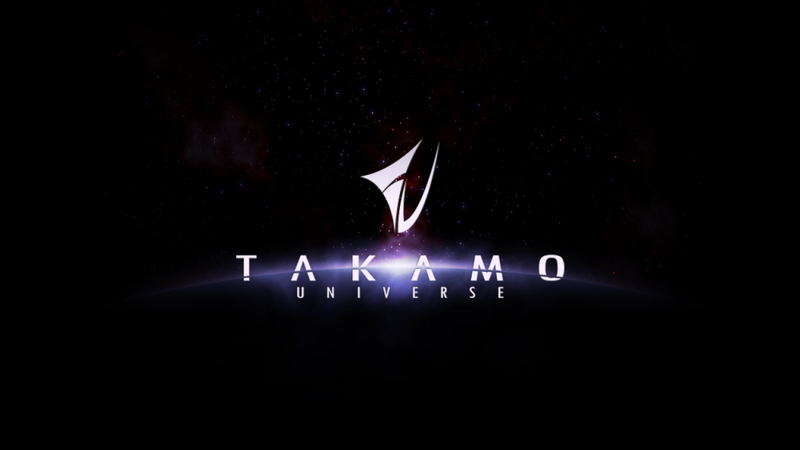 Planets of NPC empires in Takamo are the same as any other empire’s planets. However, typically they are not as built up as player worlds. As an empire that is now allied with a planet, you can send them diplomatic messages and they will reply. The format is as follows. This is the same action code you currently use to send a message to a planet. However instead of actually sending a written message you send a message in code to the planet in the Special Number slot. Currently, there are two messages to send to a planet. 1	- This is a message asking what you can do for the planetary government. Since most NPC worlds are not fully built up they will reply with requests for installations or military or both. They will pay you to install them and let you know how much they’ll pay. This is a good way to make RU’s and build up defenses on planets you don’t own and get paid in the process. The lower the tec level of the planet, the more they’ll pay. Of course some installations are tec level dependent so you will only be able to build or land some installation when their tec level is sufficient. Much like selling guns to the natives. That is always profitable. 2	- The second message you can send them is a request for their empire type. They will reply with what type they are, for instance: miner, ag corp, pirate, Etc. What does this all mean and why would I do this? Good question. First, you can make RU’s doing it. Second, if you build them up, your diplomatic level goes up. When your diplomatic level goes up, they will become a worthwhile ally and do things for you. Examples could be if they’re an Ag Corp, they could send AG Centers to your worlds. If they’re a Pirate they might raid other players worlds for you or they might have information of many unknown regions of the Takamo Universe. There are many things that could be useful. Landing a diplomat on a planet is a double edged sword. On the one hand you can make some decent RU’s helping them build their world. In essence, you are also helping their empire as a whole become stronger. You could be increasing their RU’s per turn by building production centers, Mining Centers, AG Centers, Trade Centers, etc. For that, the empire might reward you. But you are allied with the planet and with that come all the things allies do for one another… or don’t do. You cannot invade your ally or attack them in any way. They certainly would consider that an act of betrayal and respond in kind. If the planet is attacked, they might request help defending themselves and if you don’t come to help them… the planetary government would certainly take that as a sign of diplomatic relations being broken off. In fact, the whole empire might declare war on you. Bottom line is you’re allied with the planet. They expect all the benefits that an alliance with you brings. Betrayal by you or one of your allies for instance comes with the appropriate penalties such as you might expect with your own allies. Can I attack other planets of the same empire if I don’t have a diplomat on that planet? Yes. One planetary government does not really care about the other planets in the same empire. However, other planets of that same empire might do things for you at the request of the planet you do have diplomatic relations with. It’s a risk but not a particularly bad one. As stated, where you find Diplomats you usually find Spies. Can you have both a Spy and a Diplomat on the same planet? Yes. And they even help you each other sometimes. But first, let’s find out how Spies work. The action code for landing a Spy on a planet is 134. It is a move and do. In order to land a Spy on a planet, the fleet must be in system orbit or planet orbit within the system. It can even be the planet orbit of the target planet although if the planet is hostile it probably will shoot first and ask questions later. The first Location is the coordinate where your fleet will move to. The second Location is the planet where you attempt to land your Spy. Landing a Spy is not automatic. A Spy has an easier time if there is a local Population. Also, Spies work with the Guerrillas on the planet as well. So if there are Guerrillas, then the spy has a better chance of infiltrating the planet. Can the Spy be caught? Yes. Sometimes they will be caught attempting to infiltrate the planet. This is largely dependent on the number of marines or other defenses on the planet and the lack of POP or Guerrillas. They also have a chance of being apprehended when sending reports back to your empire. However, unlike smuggling centers that give off a signal when reporting on a planet a spy remains undetected unless military forces detect them when sending a report or a Search and Destroy action finds them. Like Diplomats, Spies can report to your empire about the planet. Like a smuggling, center passive information can be passed back to your empire when the planet builds installations, ships, or military forces. They will also detect and report on the passing of fleets in orbit. Is all this automatic like smuggling centers? No, but it is nonetheless helpful information that gets reported to your empire. Sending messages to your Spies. Like Diplomats, you can send messages to your spy to report on planetary installations and military forces. You can send only one request per action. To send a message to your Spy, include the action code, Planet where your Spy is located and the message number below in the Special Number box. 1	- Request Spy to make contact with Guerrillas on planet and report how many. 2	- Request Spy report how many Marines are on the planet. 3	- Request Spy report how many Heavy Marines are on the planet. 4	- Request Spy report how many Fighters are on the planet. 5	- Request Spy report how many Forts are on the planet. 6	- Request Spy report how many ABMs are on the planet. 7	- Request Spy report how many Naval Yards are on the planet. 8	- Request Spy report how many Pop are on the planet. 9	- Request Spy report how many Mining Centers are on the planet. 10	- Request Spy report how many Production Centers are on the planet. 11	- Request Spy report how many Torpedoes are on the planet and what class. 12	- Request Spy report if there is an Ag Center on the planet. 13	- Request Spy report if there is a Smuggling Center on the planet. 14	- Request Spy report if there is a Trade Center on the planet. 15	- Request Spy report who is owns the Mining Rights on the planet. 16	- Request Spy report the current Tec Level of the planet. 17	- Request Spy report the owner of the planet. 18	- Request Spy report how many Colony Bases are on the planet. 19	- Request Spy report planet stats. All requests come with varying degrees of possible detection. Spying on Military carries a risk higher than spying on civilian installations. Making contact with Guerrillas on the planet or planetary stats carries almost no risk of detection. Reporting on the number of Population also does not carry much risk. Can Spies be landed on any planet? Yes. Spies can be landed on any planet or at least attempted to be landed on any planet, even unterraformed planets. Detection and loss of a Spy on a planet. Unfortunately spying is risky business despite James Bond’s seemingly invincibility. Spies can be caught any number of ways from attempting to land on the planet to being swept up in a Search and Destroy. Lots of POP on a planet as well as lots of Guerrillas on a planet help the Spy remain undetected and report as does a Diplomat of the same empire on the planet. Yes, it may seem strange but your diplomat has access to and can warn the spy of impending Search and Destroy sweeps for instance. If your Spy is caught, the planetary government will know who he is working for, although not necessarily as he could give false information before being executed. Yes, Spies that are caught are probably going to be executed and your empire exposed as the owner of the Spy. Well, more fun hopefully. Think of the two different new abilities of your empire as a good guy bad guy kind of thing. They both get you information on the planet, just in different ways. Diplomats generally work on NPC Empires but not so well on Player Empires as they really don’t have much to do on a Player Empires Planet. Spies on the other hand work on both and quite effectively but they are subject to detection and loss whereas Diplomats carry no such risk. Is what you see all you get? By no means. Spies really have not much more to do than report as that is the primary duty of a Spy. So, you probably won’t see too many more things for them to do in the future, but there will be some. Diplomats on the other hand will have many more uses as the diplomatic level goes up on the planet. The Planetary Government will send you a message stating what they can do for you as levels go up. Build them up and at several levels they start having other benefits for your empire. A fully built up world will have certain rewards as well.